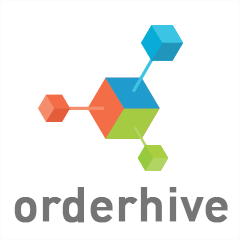 The Orderhive Inventory Management Software solution is a web-based system set up on a monthly subscription fee with different tiers depending on the number of channels, users, and features needed. It is best suited to smaller distributors, wholesalers, and online retailers. It’s distinction is the ability to track inventory across multiple online sales channels, which is becoming increasing.. Inventory Control by Wasp Barcode Technologies is an inventory management software solution appropriate for smaller businesses (under 100 employees). Inventory tracking can happen based on various parameters such as by site, location, serial number, PO number, supplier code, date code, lot, pallet, or customer. Inventory transfers between sites can be handled electronically, and the inventory can .. Since 2011, Stitch Labs has been creating software that simplifies commerce, decisions, and life for retailers and wholesalers. The intuitive Stitch Labs platform streamlines inventory, orders and data across multiple channels. It also delivers the most robust integrations with top commerce applications such as Square, Amazon, eBay, Shopify, Magento, BigCommerce, Etsy, ShipStation, Quickbooks, Xer..
Ultriva provides the solutions and functionalities needed to see what's coming from suppliers, and then throughout the billing process. Once an order goes out Ultriva delivers the means to know where it is, and what's happening with it. 100% visibility throughout the supply chain improves communication and collaboration, and it's an SaaS deployment model delivering easy updating, mi..
Fishbowl develops the #1 manufacturing and warehouse management software solutions for QuickBooks® users that has helped customers optimize their manufacturing processes, warehouse layout, order fulfillment, and many other important areas of their business. Fishbowl is an ideal software solution for manufacturers, wholesale distributors, e-commerce companies, and many other types of businesses.. If what your small-to-midsize business needs is a solution for streamlining less-than-truckload (LTL) shipments, you may be hard-pressed to find a better package than Freightview, according to its many satisfied customers. This new supply chain management software system (founded in 2013) may be the “new kid on the block,” but companies that work with multiple carriers are finding it i.. The QStrat suite is also known for its ability to integrate with a range of ERPs (enterprise resource planning systems) such as Oracle, SAP, Infor and NetSuite. QLM Costing streamlines the BOM creation process, and its data is exportable in XML format for editing within other programs. With QStrat, you can streamline and automate RFx processes and communication to make more informed purchasing dec..
Epicor is a distribution software solution focused on vertical markets that allow companies to manage all facets of distribution through a single system. It includes a variety of modules, from order management, purchasing and accounting to transportation and inventory management. Because of the variety of modules available, the system can scale its functionality to meet the needs of companies of a..
Wholesale distribution companies need robust software that incorporates CRM, Mobile and eCommerce into daily operations to reveal profit opportunities, which is what DDI System aimed for when it designed the Inform ERP software solution. Available as an on-premise or SaaS solution, Inform ERP is geared towards specific industries, including fasteners, HVAC, industrial suppliers, plumbing, electric..
Contalog provides businesses the opportunity of selling via different digital sales mediums like ecommerce store, mobile commerce app, marketplaces and convenience of inventory, order and product information under one centralized platform. 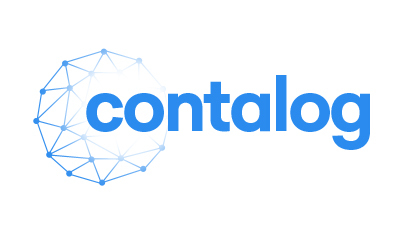 Contalog is a Saas based tool that holds everything a sales network management needs like stock updates, warehouse management, order processing, ..
- A modern, flexible POS for every resale business model. - Communicate automatically and professionally with your consignors. - Use our powerful reports gain insight into your..
AIMMS is an innovative technology company with offices in Europe, the US and Asia, serving half of the global Fortune top 20 companies. The company provides a unique analytics, modeling and optimization platform that supports complex business decision making at every organizational level. AIMMS customers can quickly create high business impact with optimization apps to support both strategic and d..
FreightPOP is the solution that creates a better way to handle shipping and logistics for those using spreadsheets or those that are completely frustrated with enterprise transportation management systems (TMS). FreightPOP is a mobile and web based application created to fill an under-served market of SMB shippers. 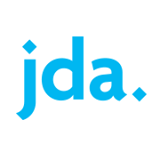 It brings shipping, auditing, tracking, and obtaining quotes all into one place to..
At JDA, we’re fearless leaders. We’re the leading provider of end-to-end, integrated retail, omni-channel and supply chain planning and execution solutions for more than 4,000 customers worldwide. Our unique solutions empower our clients to reduce costs, increase profitability and improve collaboration so they can deliver on their customer promises every time. Using JDA, you can plan t..
Accellos is a HighJump Software product that provides solutions specifically designed for the unique needs of logistics service providers and midsized businesses. Over 4,000 companies trust Accellos to be the technology backbone of their global supply chains. 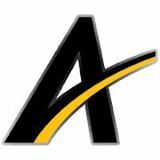 Accellos provides solutions for warehouse management systems (WMS), third party logistics (3PL), fleet management, transportation management..
Our software solutions will maximize your productivity, minimize mistakes, streamline workflow and save you money; our many thousands of clients have proven that for over 25 years. Whether you need to revamp your maintenance department, effectively track your gages, implement inventory control, optimize calibration intervals, maximize asset uptime, enforce personnel accountability, assure standar.. 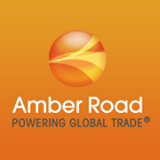 Combining an expansive trading partner network, enterprise-class software, and specialized trade content resources, our solutions help organizations comply with country-specific trade regulations, as well as plan, execute and track global trade, enabling goods to flow unimpeded across international borders in the most efficient, compliant, and profitable way. Our GTM suite includes ..
Company that are doing full or ..